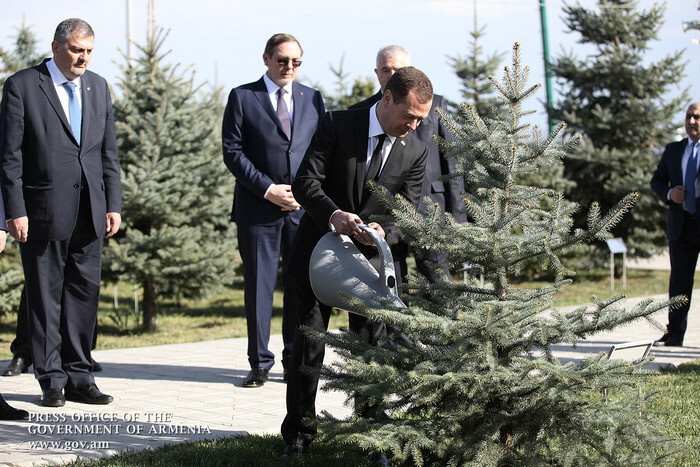 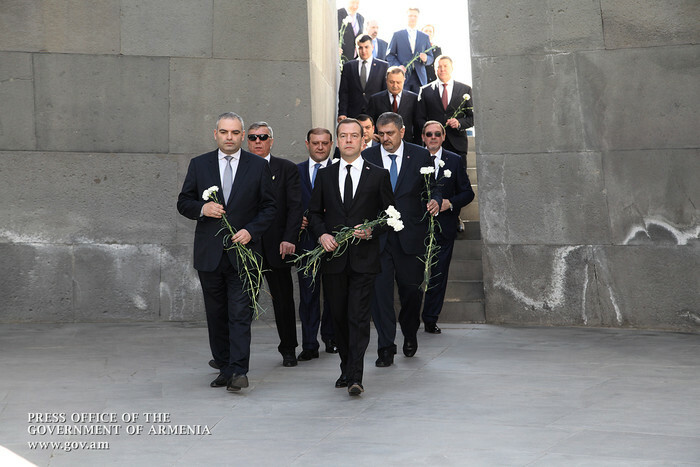 Prior to holding official meetings and negotiations at the Government of the Republic of Armenia as part of his official visit to Armenia, Russian Premier Dmitry Medvedev visited Tsitsernakaberd Memorial Complex to lay a wreath at the Armenian Genocide Memorial. 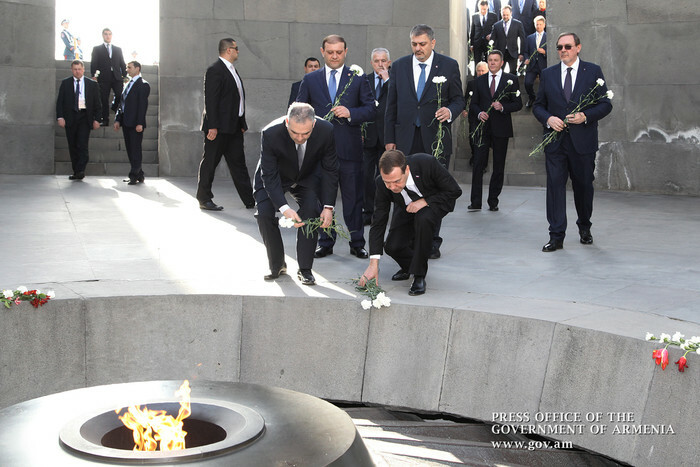 The Head of the Russian Government dipped flowers at the Eternal Flame and observed a minute of silence in homage of Armenian Genocide victims. 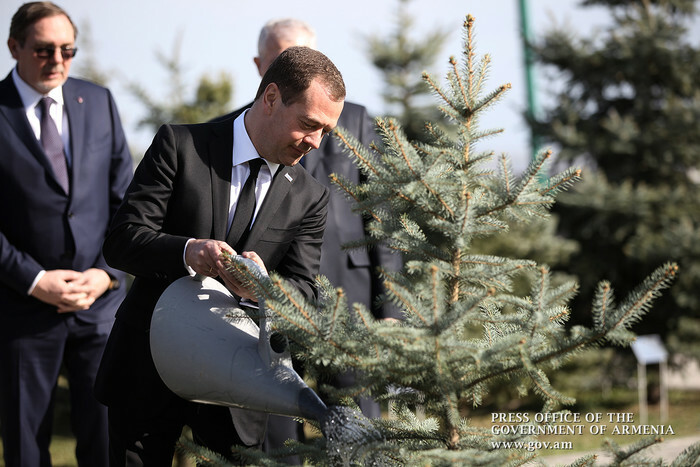 Then Dmitry Medvedev called at the Memory Alley and watered the fir he planted in 2008.